July 1st has always been a special day for me. Forty nine years ago today I left the United States and applied for Landed Immigrant Status in Canada. My wife and I picked this date as it was a National Holiday and we figured there would be less security at the Toronto Airport…. and less questions. 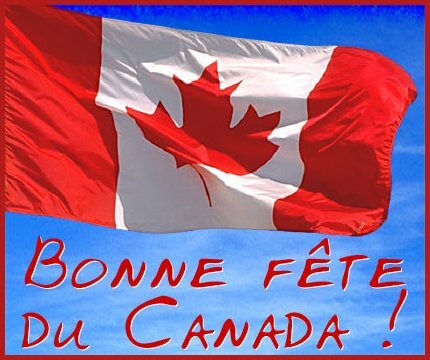 It was a special day in Canada, it was the 100th anniversary of Confederation. The Mounties never came and we were never deported. Canada was a totally different world than the one we had just came from… that was in 1967. Today Canada is once again a very hopeful nation. The Torries are history and hopefully Justin Trudeau will once again make it The True North Proud and Free. I had the same hopes for Justin as you express. However, bit, by bit, I fear we both may be disappointed. Firstly, I admired Pierre’s resistance to getting young Canadians killed in Vietnam for nothing. Secondly, I appreciated the fact that he didn’t recognize the crime of “draft dodger” as a cause to arrest young, American immigrants to Canada. These were good things. Also, as Chretien, his old buddy from the Trudeau era, did send Canadians to Afghanistan, he refused to send any to Iraq. Points scored, but only recently, I discovered that in the early 70s, Pierre sold Canada off to the IMF’s cabal of central banks. Prior to that, Canada printed the money the country needed to facilitate the functioning of the economy. After that, money was borrowed from commercial banks and had to be paid back with interest. Look at any graph of Canada’s debt and that’s when the line went from almost flat with just a slight rise, to the exponential curve we see today. See this from a 12 year old Canadian for a fuller understanding. I’ve sent a dozen or more emails to various politicians, including several to Justin’s office. Not a peep from any of them. Also, Canada is about to be sold out again with the TPP, the Trans Pacific Partnership. A bad deal that subverts Canadian law where any corporation can sue Canada if legislation interferes with their profits. Such as banning bovine, growth hormone. Or labeling GMO food. Having said that, without a doubt, I am very much glad to be Canadian. Hell, we even investigate former Prime Ministers, (Mulroney) for taking bribes in brown paper bags. Compared to these crimes, http://www.arkancide.com well, words fail me. Glad you’re here and very much happy about the work you do. Fireworks tonight at the local park. Yaay Canada. Go Leafs, go. Interesting that this communist immigrant thinks Canada is just great under Justin Trudeau. To many old time Canadians of European stock like myself, Trudeau is considered a subversive cultural Marxist who really doesn’t think to much of Euro Canadians. Justin is a disaster for Canada. Rainbow Justin is already wavering on electoral promises; what a surprise eh?